Mangaluru, Oct 11, 2017 : MP from Chikkaballapur, former union minister and former chief minister M Veerappa Moily has come out in strong support of Chief Minister Siddaramaiah and has dubbed as baseless the allegations of the BJP that the Chief Minister has resorted to illegal denotification. 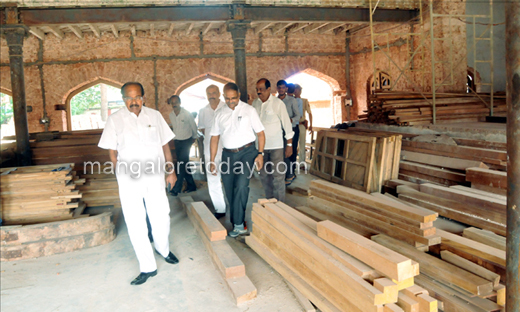 Speaking to reporters during his visit to the University College on October 11, Wednesday Moily said there has been no illegal denotification during the Siddaramaiah tenure. "The BJP which is left with nothing to criticise the government is now making this allegation without any basis. The allegation would do no harm to the government, said Moily and exuded confidence that the Congress would come to power in the state again. On his latest literary work, the 700 page book "Bahubali," Moily said it would be released next year during Mahamastakabhisheka. 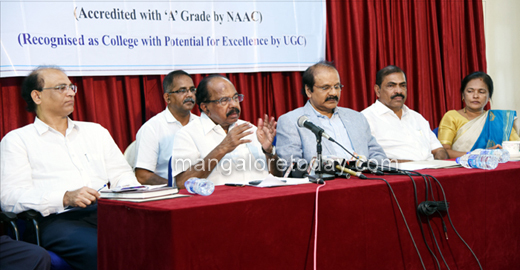 The press meet was held to inform about the 150th anniversary programmes of the University College. 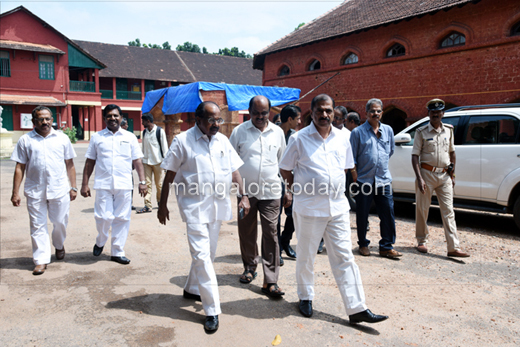 Vice Chancellor of Mangalore University Prof K Byrappa said a committee has been formed to chalk out programmes for the celebrations. A Post-graduation School of Finance and Analytics will be started in the college, he said adding Dr U R Ranganathan Library will also be constructed.